Based on a Sinclair QL , also known as OPD . 'tis a fine looking piece of old tech. What is it? And how long is the ultimatum you were given? It was a PC / telephone with a software suite included, it was a bit of a flop by all accounts but interesting none the less . It had one of the first speech synthesis voice systems on it I believe with limited vocabulary . This one has a colour screen which I believe are quite rare . It has basic on a Microdrive tape ( not working yet ) . 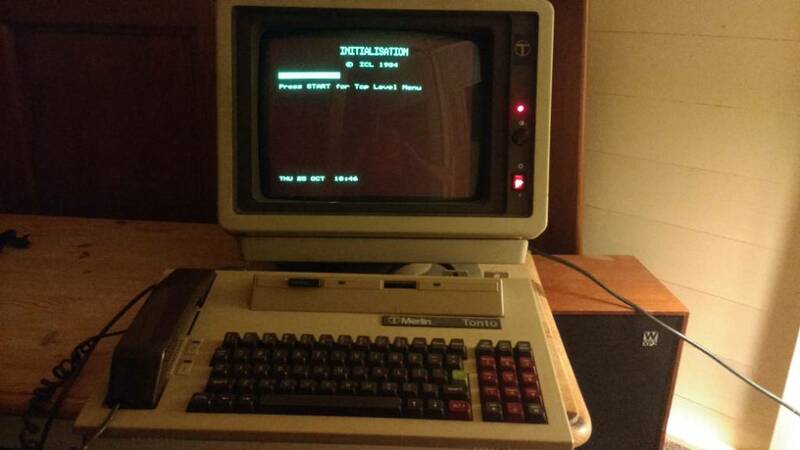 Has a kind of Commodore 64, Commodore Pet, Apple IIe, TRS-80, IBM Peanut look to it. Is there a built in modem to it? 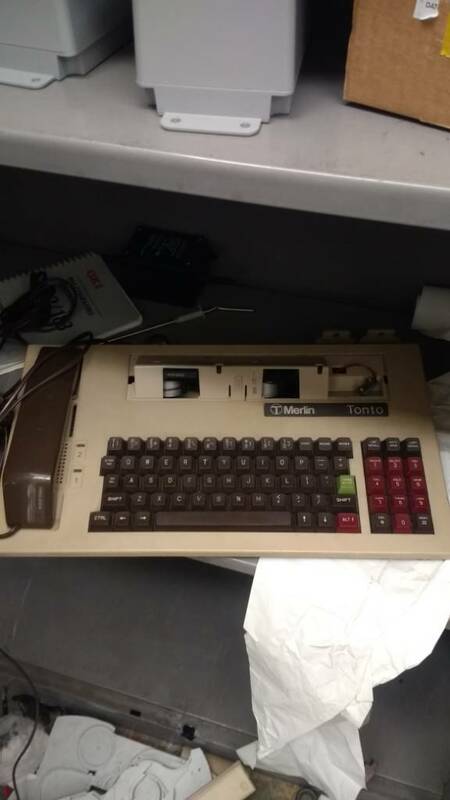 The Tonto was the same model as the ICL OPD and the Telcom ComputerPhone which was intended for Australian market. Like the ICL version, the Tonto was sold only in the U.K. It was born thanks to a collaborative venture between British Telecom, ICL and Sinclair Research. The designers idea was to build a centralized desktop information system able to access online services, mainframes and other similar systems through the British Telecom network. 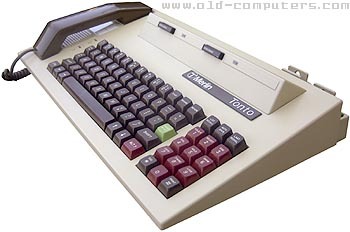 It was essentially a Sinclair QL at heart, featuring the same 68008 processor. Applications software were stored in plug-in ROM cartridges or Microdrive tapes. 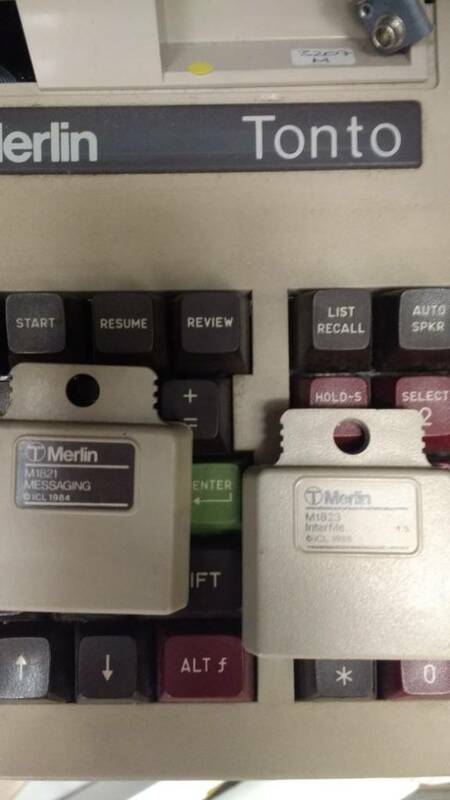 Sadly, both of them were not compatible with QL interfaces and microdrives format and the specific Tonto O.S. couldn't run ordinary software made for the QL, even in BASIC language. However, the most interesting aspect of the Tonto was its telephony integration. Its internal modem (300 an 1200/75 baud) could manage two telephone lines, and the Tonto, could be used as an intelligent answering machine thanks to its synthesised voice response (but no record capabilities), a Prestel terminal for Videotext services as well as a specialized peripheral and multi-protocols terminal for mainframes. Several interconnected Tonto's also could automatically exchange files and information between them. Below are prices for the Tonto at is launch, taken from a BT promotional video for the Tonto, dated 29-4-1985. These are all Excluding VAT. So these are the final prices. Then you had an optional printer and many optional ROM packs. This was quite an expensive piece of desk accessory in its day. pete wrote: Interesting looking device. Nice info Pete , thanks , I believe it has two Rom packs , one of which allows it to connect with a second device , the other I'm not sure . 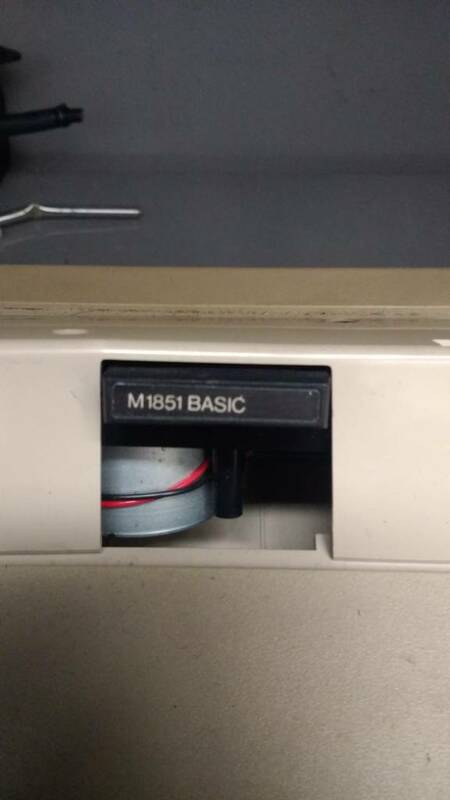 It has basic on a Microdrive that's not working also . It would be an achievement to find another and connect them together . The power comes from the monitor . Paul , I'm sure that's right , I hear on another forum that there were so many unsold that every manger was given a one for their desk . Also visible the 9volt battery connector it needs as well . Well it blew up today . I was aware this was a high possibility , after talking to a chap that repairs them I was assured no harm would be done but it was very likely a capacitor would blow and smoke and crackling would occur and boy it did ha ha . It now needs a bit of soldering . Ha ha it went straight in the Summer House , it fired up first time but I was warned of the imminent capacitor " theatre " but told it would not damage the machine and would just smoke and it did second time I turned it on .